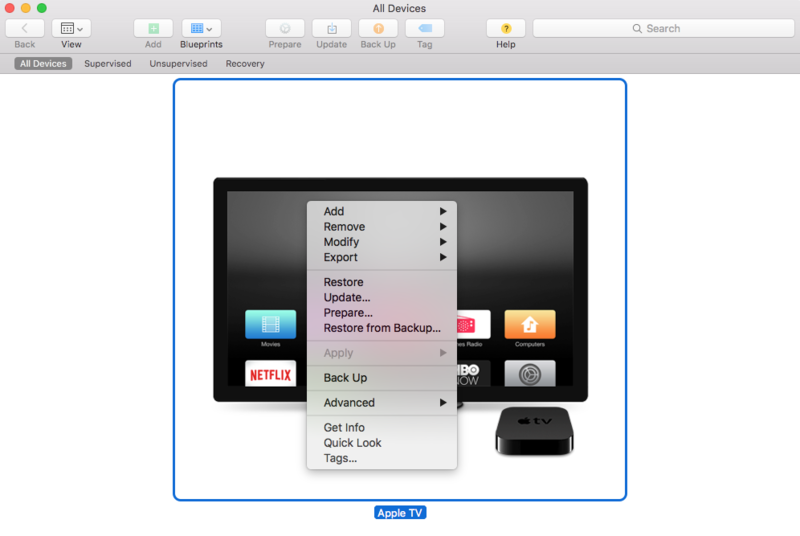 Learn how to set up and use an Apple TV at UC San Diego by following these instructions. 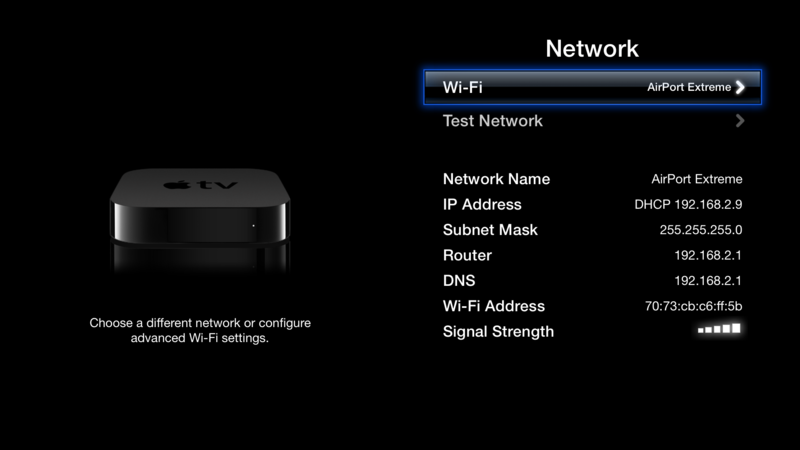 To use an Apple TV at UCSD, you will need to configure it for wireless connectivity. 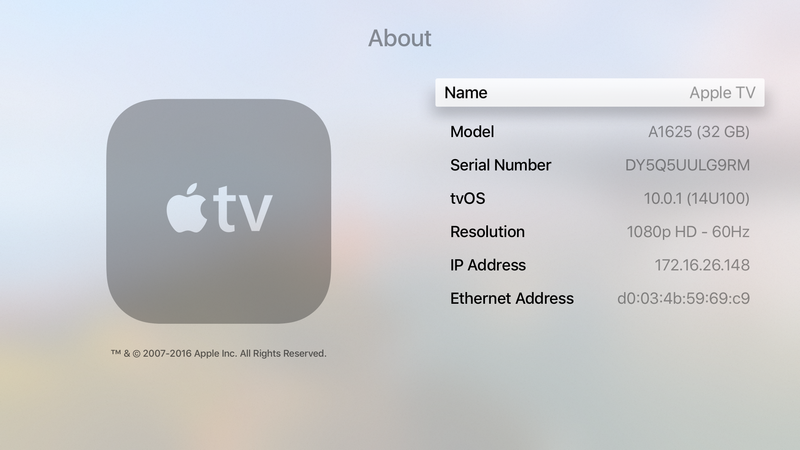 Configuring the Apple TV for wireless will require an Apple ID, an Apple Computer running 10.11.5 or later, and a Micro USB cable (3rd gen Apple TV) or USB-C cable (4th gen Apple TV). Once Apple TV has been configured for wireless connectivity, you will be able to stream content wirelessly from your Apple laptop, desktop, or wireless mobile device. There is currently a known issue with the 3rd and 4th gen Apple TV: connection to UCSD-PROTECTED cannot be established due to the latest software update. With the latest software update, the Apple TVs fail to update the time while attempting to connect to UCSD-PROTECTED. To get it working you will need to connect the Apple TV to the Internet prior to connecting it to UCSD-PROTECTED so that the Apple TV can set the time correctly. 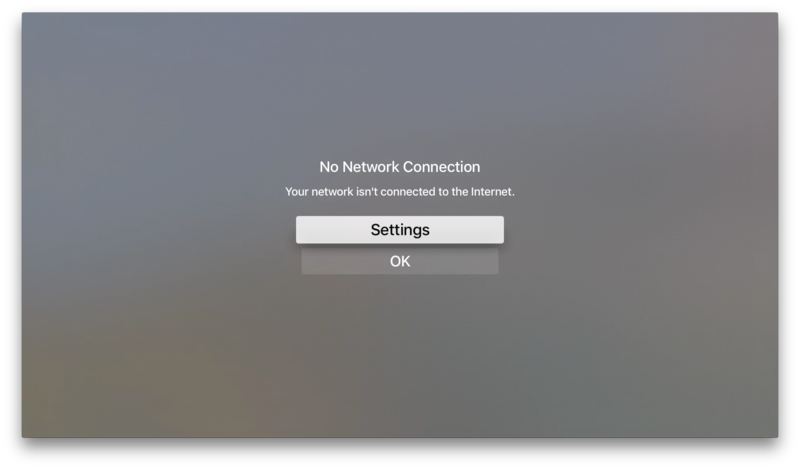 This can be achieved by either connecting Apple TV to a personal mobile hotspot, or by connecting to UCSD's wired network. If using a mobile hotspot is not an option, please be aware that there are additional steps that will be required below. If the Apple TV has already been configured for first time use, skip to step 6. Connect your Apple TV to a power source and attach the HDMI cable to your display. When your Apple TV powers on for the first time you will need to choose a language. On the next screen, you will be prompted to connect to the wireless network. Disregard this screen and click the menu button on your remote to take you to the next screen. You will be presented with a series of windows asking if you would like to share information developers with Apple. Make a choice and continue. The Apple TV will reboot and bring you back to the main screen. When at the main screen, go to Settings/General/About. Your wireless mac address will be listed under Wi-Fi address. Write this down. If you are planning on using a wireless hotspot to sync the clock, you may proceed to, "Register the Device," below. Otherwise, in addition to the wireless address, you will need the Ethernet address. The Ethernet address can be obtained from the same page where Wi-Fi address is found (Settings/General/About). It will display itself when you connect an active Ethernet cable to the Apple TV. When you connect the Ethernet cable, wait a few seconds and "Wi-Fi address" will read "Ethernet Address." Write this address down. Note: the Apple TV will not have Internet access via wired connection until it has been registered. 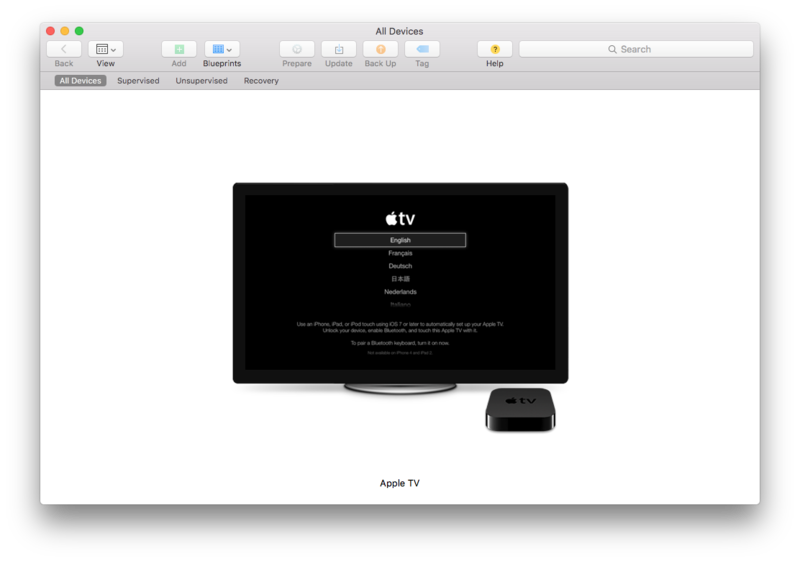 If the Apple TV has already been configured for first time then while at the main screen, go to Settings/General/About. Your wireless mac address will be listed under Wi-Fi address. Write this down. If you are planning on using a wireless hotspot to sync the clock, you may proceed to, "Register the Device," below. Otherwise, in addition to the wireless address, you will need the Ethernet address. The Ethernet address can be obtained from the same page where Wi-Fi address is found (Settings/General/About). It will display itself when you connect an active Ethernet cable to the Apple TV. When you connect the Ethernet cable, wait a few seconds and "Wi-Fi address" will read "Ethernet Address". Write this address down. Note: the Apple TV will not have Internet access via wired connection until it has been registered. The address listed on the right is the wireless address. Write this down. If you are planning on connecting to wired because you do not have a mobile hotspot to sync the clock, then connect an active ethernet cable. Otherwise continue to the next section, "Register the Device." Write down the ethernet address. 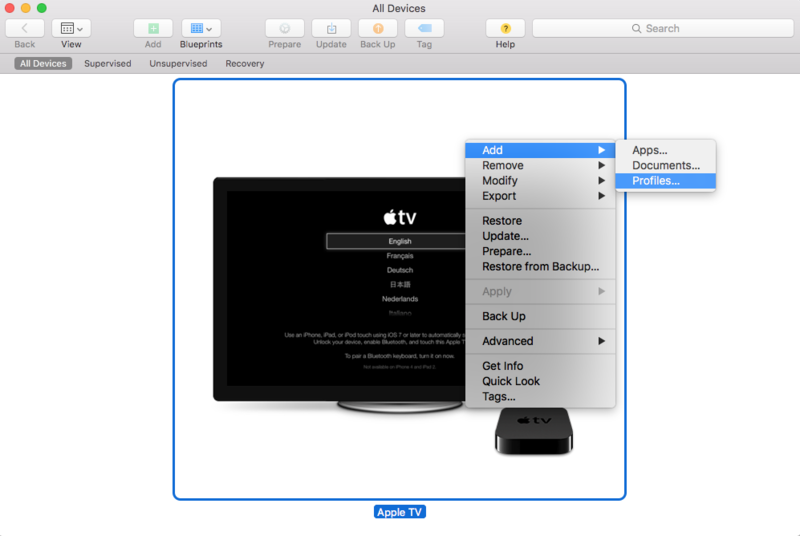 Place in comments whether you plan to use the device for wired,wireless, or both if you plan to update the Apple TV clock via wired network. Once Hostmaster has registered the device, they will send a confirmation email. Please wait for this confirmation before proceeding. 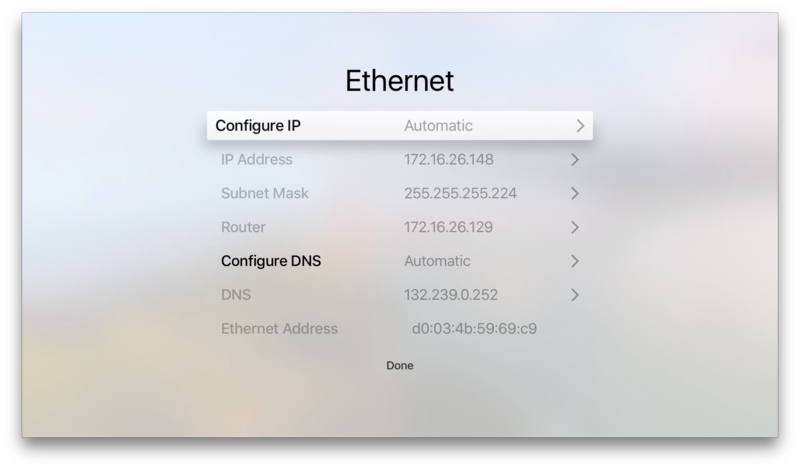 Configuring the Apple TV to connect to the UCSD-Protected network will require you to have an Apple Computer running at least 10.11.5 or later. 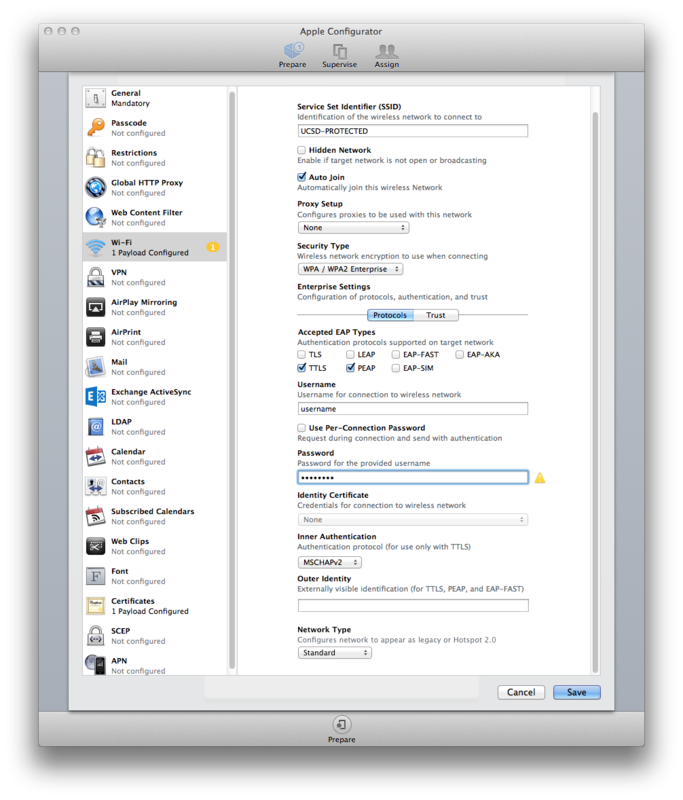 You will also need to have an Apple ID to download the Apple Configurator 2 App from the App Store. 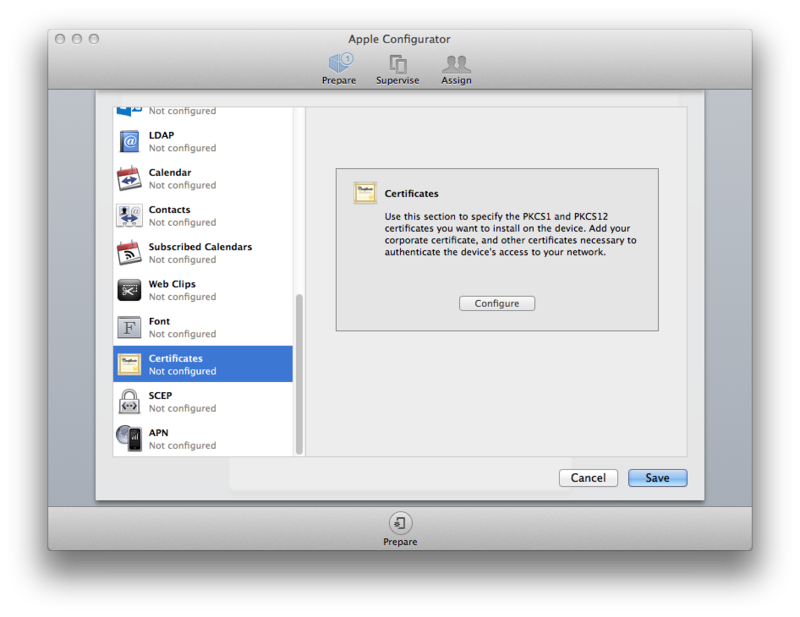 In addition, you will need to download the certificate needed to configure the Apple configurator. In order to install the profile, you will need a micro-USB (3rd gen Apple TV) or USB-C cable (4th gen Apple TV) depending on the Apple TV you wish to configure. 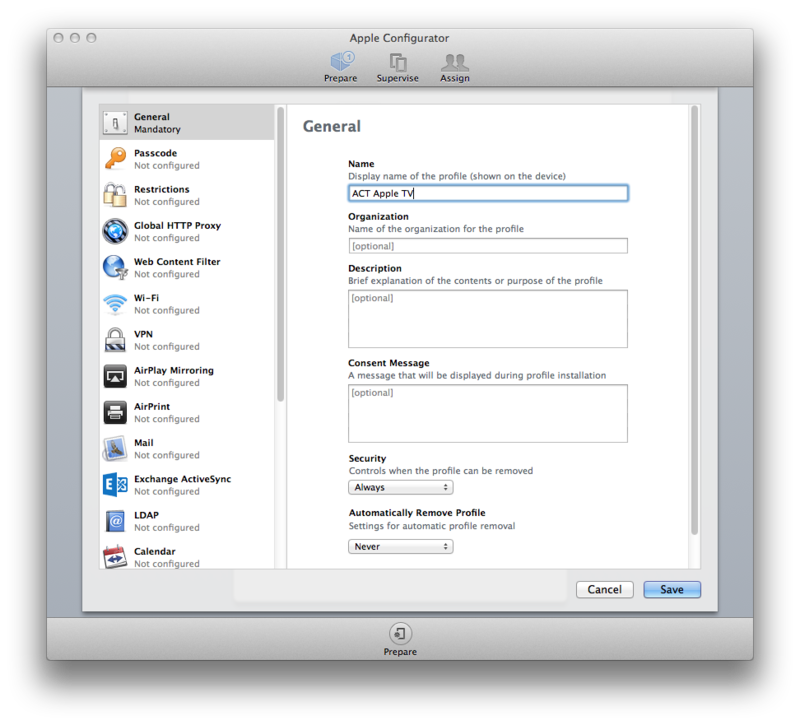 Download the Apple configurator 2 from the App Store using your Apple ID (Finder/Applications/App Store). Remove the HDMI cable and attach the micro usb or usb-c cable to the Apple TV and attach the other end to your computer. Leave the Apple TV powered on. 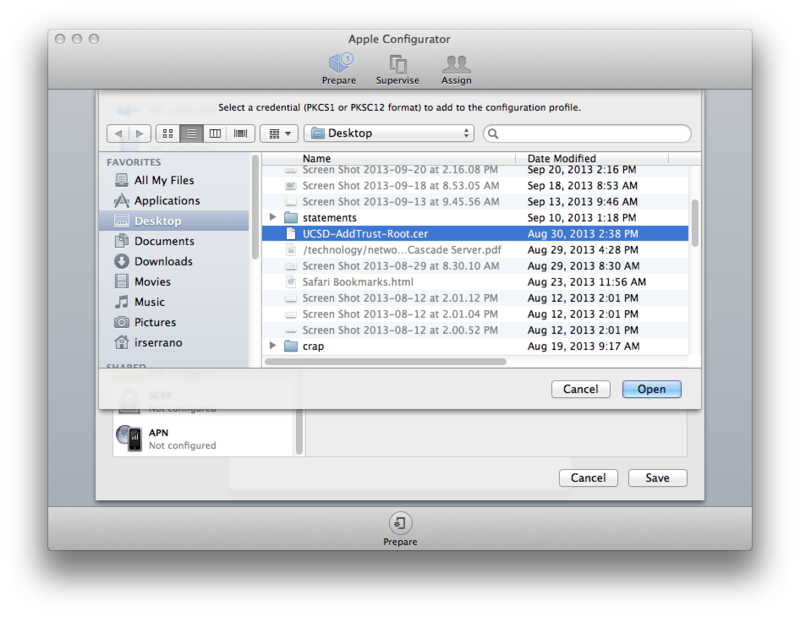 Launch the Apple Configurator 2 Application (Finder/Applications/Apple Configurator 2). 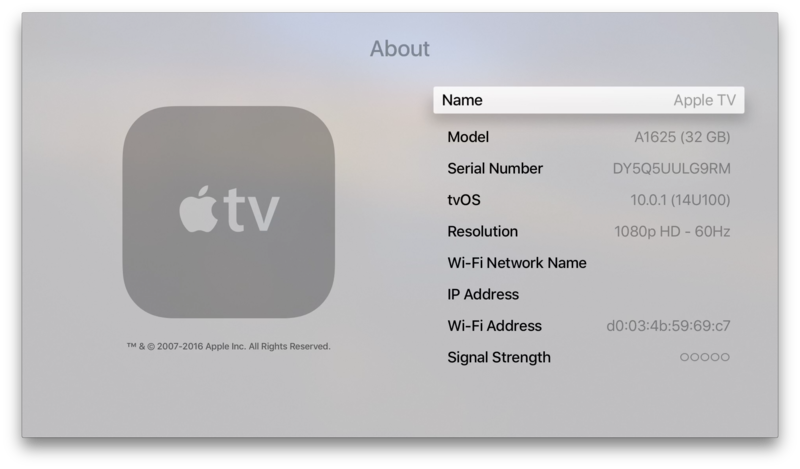 The application will display a picture of the connected Apple TV and default to the setting for All Devices. Right-click on the picture of the TV and choose Restore. You'll be asked to confirm this selection. Click on Restore and the Apple Configurator 2 software will download the latest software and update the Apple TV. Do not interrupt this process. Follow the onscreen instructions. Once the install has ended, click on File Menu (located in the upper left portion of the screen) and choose New Profile. Scroll down to Security and select Always. For Automatically Remove Profile, select Never. Download and save this security certificate to your desktop. In the left column, select Certificate. Click on Configure and select the certificate you downloaded to be added. Do not click on save yet. 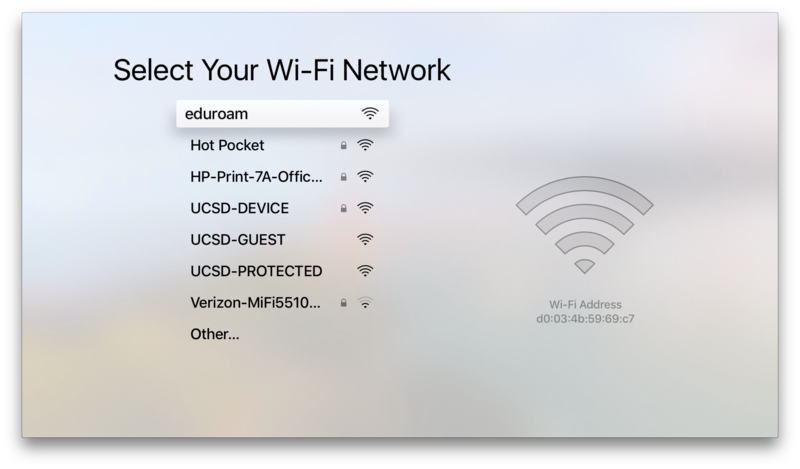 Select Wi-Fi from the left column and click on configure, enter UCSD-PROTECTED for Service Set Identifier (SSID). Ensure auto join is checked. Select WPA/WPA2 Enterprise for Security Type. Under Protocol settings, check the boxes for TTLS and PEAP under Accepted EAP Types. Scroll back up and click on the Trust tab to configure the trusted certificate. Check the box under Trusted Certificates to apply the certificate. Proceed with selecting File once again from the menu in the upper left part of the screen and choose Save. The active window should still be present after saving. Right-click on the TV and choose Add > Profiles. 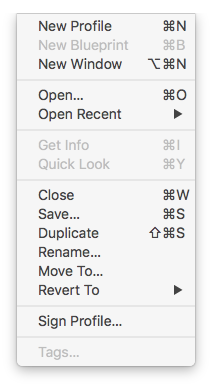 Locate the saved Profile and add it. 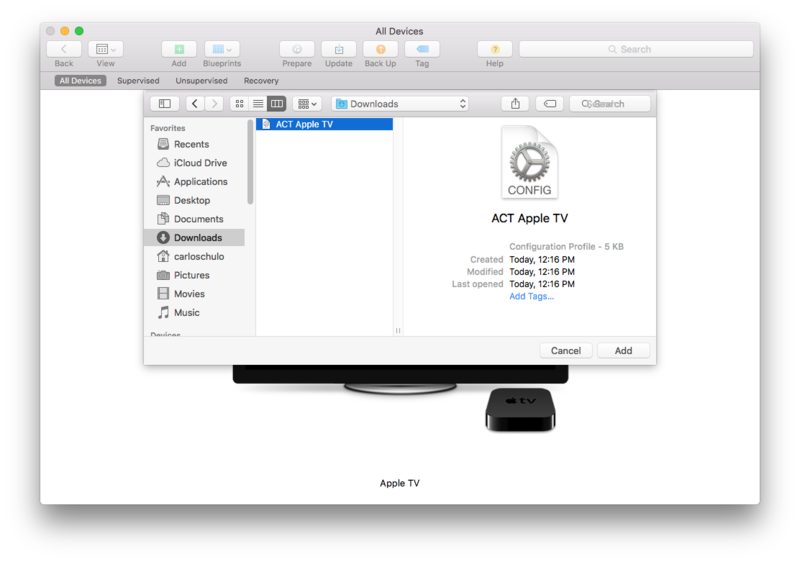 When the installation is complete, disconnect the Apple TV from its power source and micro-USB or USB-C cable, and close Apple Configurator 2 app. Before you begin this step, ensure that you have received confirmation from UCSD hostmaster that the device has been registered. Connect the Apple TV to a display, and power it on. Follow the onscreen instructions for first time setup. Remember this step is necessary because Apple TV needs to update its clock, and will not connect to UCSD-PROTECTED until it has. While connected to this network, finish the setup. When you reach the home menu, disconnect the Apple TV from the hotspot or wired connection, and restart the Apple TV. 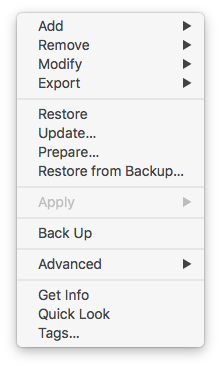 Upon restart, Apple TV should automatically connect to UCSD-PROTECTED. If you used a mobile hotspot, ensure that it is shut off. Note that it may take anywhere between 1-5 minutes for the Apple TV to establish a connection to UCSD-PROTECTED. You can verify connectivity by going to Settings/General/Network. You should be online. If for some reason you are still not able to connect, go to Settings/General/Restart, and try again. For more information, contact the IT Services Help Desk (858) 246-4357 or ext. 6-HELP.